插圖素材: Black Friday sale horizontal poster or banner. 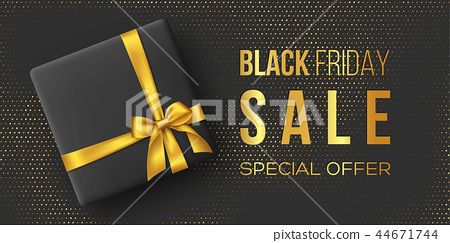 Black Friday sale horizontal poster or banner. Luxury design with box and realistic golden silk bow on dotted background. Concept for seasonal discounts. Vector illustration.